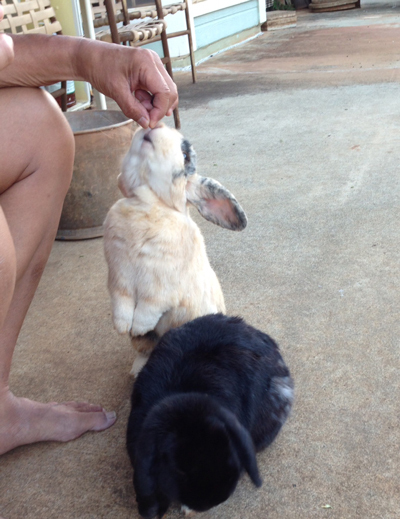 Rabbits can get up on their hind legs too if someone is passing out raisins. 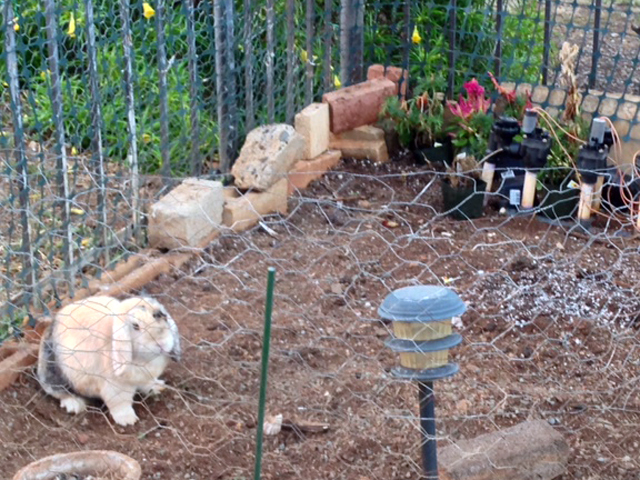 Their “grandfather” is attempting to establish a flower garden, so he fenced off a corner of the yard with chicken wire. The rabbits dug under it in no time at all, eating the tops off the marigolds. This is the second round of plant victims. 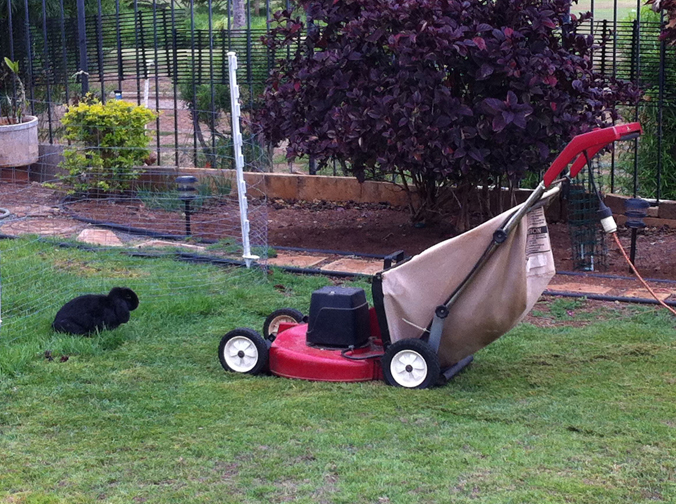 Rabbits: 2; Grandpa: 0. Left photo: when they were just a few months old; Right photo: four years later. Flopsie’s ears continue to get in the way. 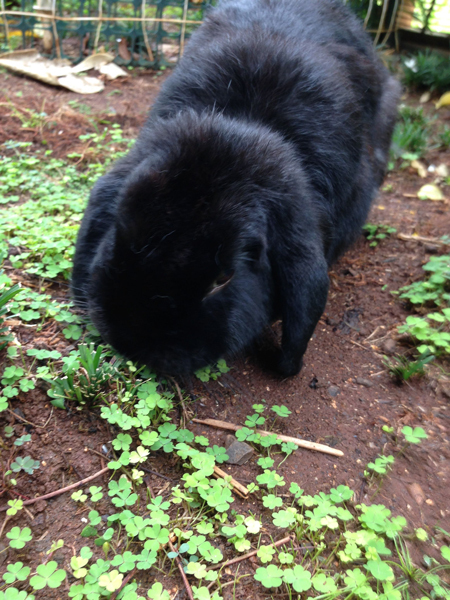 Mopsie having breakfast after a night of heavy rain with lightning and thunder. 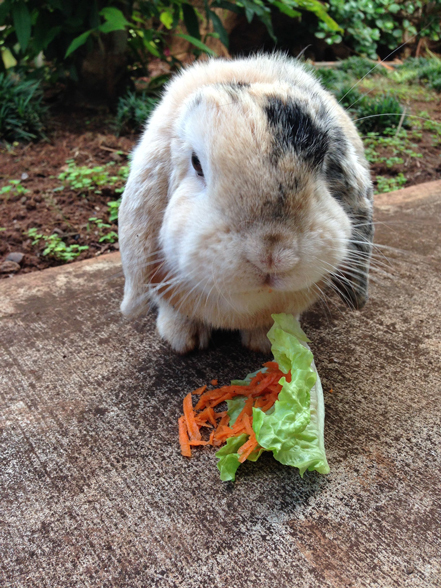 He and Flopsie had to hang out on the lanai and are glad to be drying out this morning. served on a lettuce leaf. doppelgänger: Someone who looks like someone else. It’s a scary thought that there’s another pair out there! He felt he had to confront it. After it stopped, he hopped onto it to check it out.